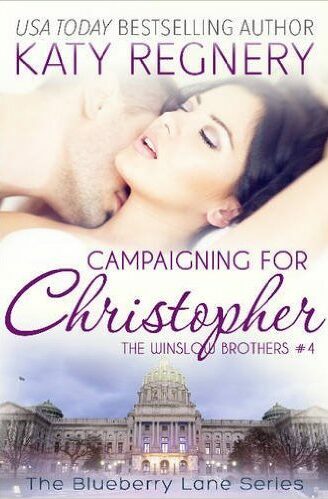 Campaigning for Christopher is the fourth book about the Philadelphia-based, wildly-handsome Winslow brothers who are all on the lookout for love. Christopher Winslow, the youngest of the four Winslow brothers, was born with a silver spoon in his privileged mouth, which has made it difficult for him to establish his credibility in the fast-approaching congressional race. Working against the clock to assure Pennsylvania voters that he is forthright, trustworthy and able has been an exhausting challenge, but Christopher’s chances at beating the incumbent look good.